The spirit of the festival will come to New York, London, Sao Paulo, Sydney and Johannesburg. The annual Cannes Lions International Festival of Creativity, with its golden beaches and yacht parties, is the advertising industry’s ultimate annual celebration. But, the reality is, the majority of creatives won’t make it all the way to France. The expense, distance, time requirement—and now, security concerns—get in the way. Facebook is hoping to bridge the divide with a series of "Cannected" events that bring the spirit of Cannes Lions—and the news coming out of it—to five cities around the world during the festival. On the Wednesday of the festival (June 21), the platform will host fireside chats, keynotes and panel discussions with local leaders at its offices in New York, Sao Paulo, Sydney and Johannesburg, cities that have a high population of agencies. Facebook will also host an event at Publicis’ London office. All speakers, chosen to represent the local creative community and diversity of each market, will share their perspectives on creativity and the work coming out of Cannes, offering a way for attendees to feel part of the exclusive festival. 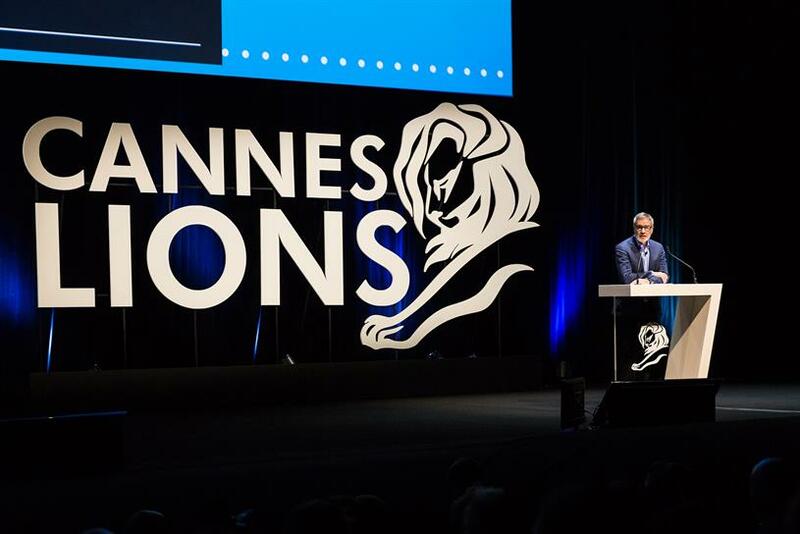 "Each year the work, themes and conversation at Cannes Lions impacts the direction of our industry around the world," said Mark D’Arcy, vice-president and chief creative officer at Facebook Creative Shop in a statement. "And this year, we want to try and provide more of the creative community a fun way to be able to connect locally around the energy and ideas coming out of this incredible festival." Facebook’s New York event, for instance, will feature many recognizable names of the industry who all, for one reason or another, will not be boarding flights for Cannes this year. After an introduction from Arielle Gross, global program manager of Facebook Creative Shop, the event will kick off with a fireside chat with Bobbi Brown, founder of Bobbi Brown Cosmetics, who will discuss the entrepreneurship of creativity. The event will also feature Gretchen Rubin, author of "Better Than Before" and "The Happiness Project," in a talk about creative behavior and habits. A panel made up of Kimberly Drew, director of social media at The Met, and Peter Duffin, vice-president of communications at Lincoln Center, will cover the art of creativity. Finally, a panel made up of Droga5's group creative directors Karen Short and Casey Rand, and Gemma Craven, McCann New York’s senior vice president and director of social and mobile, will focus on the winning work at Cannes. Across cities, the events will begin at either three or four p.m. local time, according to Facebook, and will also include networking, DJs, artists, food and a creative exercise to engage in. Basically, everything except the yachts. Kat Gordon, founder of The Three Percent Conference, believes Facebook’s "Cannected" events are necessary, she said, because she has witnessed the expense of Cannes Lions’ firsthand—she once had to pay $1,000 a night at the Radisson Blu, a hotel she described as "not even fancy." This kind of predicament, she said, shows that the festival needs to make its content and community accessible to more people. "I love what Facebook is doing because the exclusivity of Cannes can be a determent," said Gordon, "By default, it eliminates certain people that just don’t have the means to get there, especially young talent and startups in the tech industry." But when it comes to Cannes, it’s hard to bypass exclusivity entirely; not everyone will be able to snag a ticket to one of Facebook’s events. The platform is inviting a number of organizations it partners with, including ADCOLOR, the Three percent Conference and She Runs It as well as a mix of agency creatives, bloggers, technologists, musicians, artists and art schools to take part in the events. However, its offices can only hold a few hundred people, according to the platform. So Facebook will livestream its New York event at @facebooknyc in order to scale the conversations. Gordon would like to see Facebook go even further and expand its "Cannected" initiative to cities that don’t get as much industry programming—in other words, not Los Angeles, Chicago or New York. After bringing The Three Percent Conference to Detroit and Miami this past year, Gordon realized that people are just as hungry for events there as anywhere else. "In other cities, there’s an amazing turnout and passion for the experience because they don’t have many opportunities to gather together," said Gordon. "So, I would love to see Facebook’s initiative in any city that wants to host an event."